When you have a need for a solid candidate, turn to the staffing agency you can trust… Turn to GreatStaff Solutions! The latest version of the 2017 Salary Survey is here and you can request your free copy today. Don’t miss out on the most up to date salary information and employment trends. If you would like a free copy of the 2017 Salary Survey, please request to meet with one of our representatives by providing the information below. GreatStaff offers a quick response to your staffing needs while ensuring the right candidate fit. GreatStaff provides you with skilled, qualified and tested candidates based on your specific needs. GreatStaff offers the flexibility of Temporary, Temp-to-Hire and Direct Hire options. GreatStaff Solutions is a premier staffing agency that prides itself on the solid relationships we’ve built over the years. We are passionate about working together with our clients to provide excellent service which results in successful outcomes. Our mission is to match great candidates and great organizations. 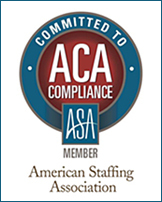 As a Michigan based staffing agency, we understand the challenges facing our local business community and ever-changing economic climate. You can feel confident in our ability to find the right fit for your organization. GreatStaff Solutions specializes in matching qualified candidates to Administrative and Light Industrial opportunities in many diverse fields with many great organizations. Through our candidate evaluation and hiring process, we are dedicated in finding you the best fit in your job hunt or in advancing your career to the next level. GreatStaff Solutions is a Michigan based premier staffing company. Our team is in tune with the challenges facing our local business community. We are committed to providing excellent service to enhance the success of our clients and employees. GreatStaff Solutions gives you the flexibility to work through the peaks and valleys of your business. Based on your needs, we can help you to ramp up or reduce your workforce. GreatStaff Solutions will save you time! We have the resources and tools to filter through a pool of candidates and provide you with the talented employees you are looking for. GreatStaff Solutions is dedicated to providing quality employees to our clients. Our process includes: an interview, professional reference checks, background checks, testing to assess their software aptitude and skill sets, and given a 10 panel drug screen.